in every single kid since 1968. That’s where Greenhills School comes in. Imagine a school wholeheartedly dedicated to creating a learning experience around the unique needs and passions of each student. That’s Greenhills. 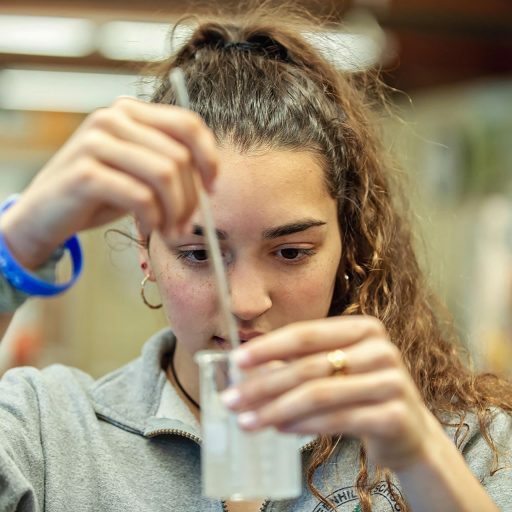 In intensely smart classes, our teachers push students to know the depth of what they’re truly capable of — from Jazz and 2D Design to Conceptual Physics. 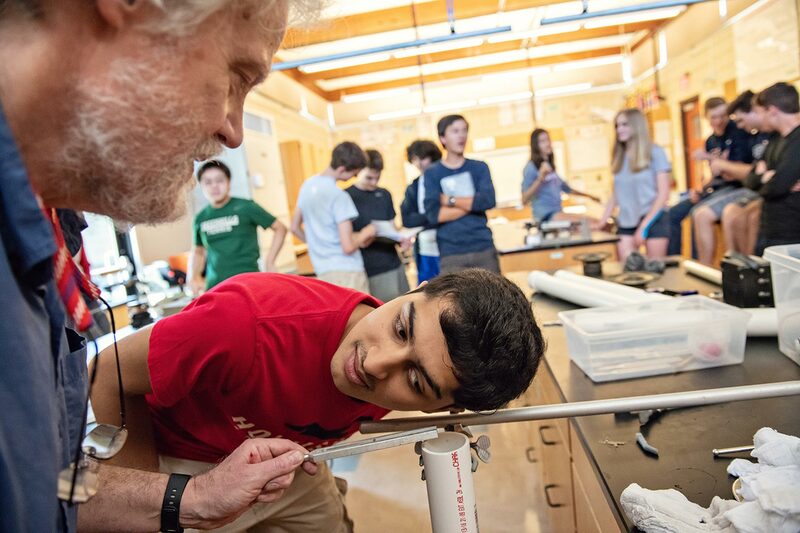 STUDENT SUCCESS STEMS FROM SCIENCE, TECH, ENGINEERING, AND MATH. 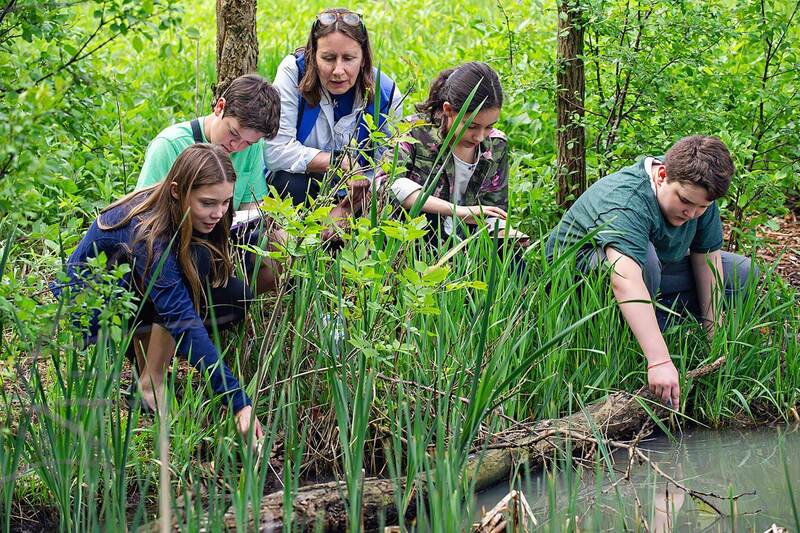 GREENHILLS STUDENTS GET USED TO LEARNING OUTSIDE CLASSROOM WALLS. OUR HUMANITIES PROGRAM FEEDS THE SOUL. 50 YEARS OF ATHLETICS. 25 STATE CHAMPIONSHIPS. 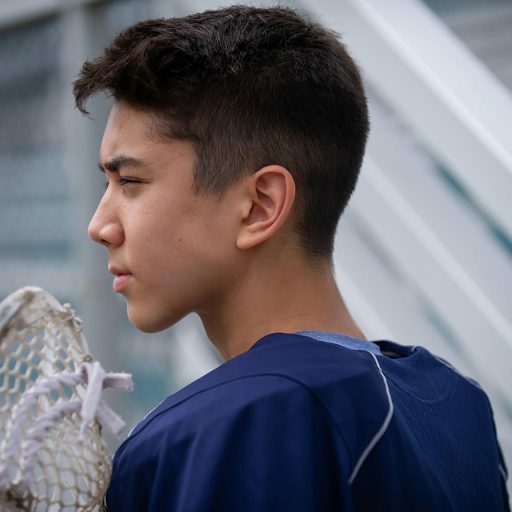 OUR STUDENTS ARE EACH ONE OF A KIND: "SUI GENERIS." 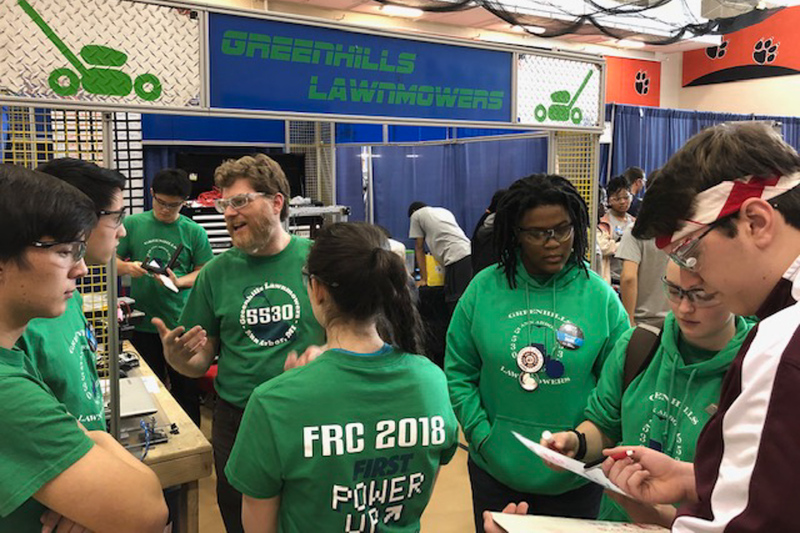 After a successful six-week build season, three district competitions, and a strong effort at the state championship, the Greenhills' Robotics Team, The Lawnmowers, have qualified to compete in the FIRST Robotics World Championships in Detroit! 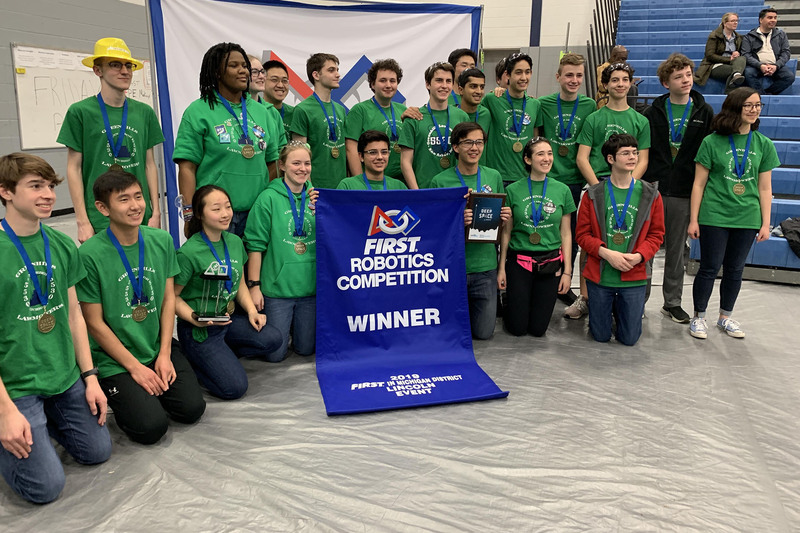 The Greenhills Lawnmowers earned an outstanding win at the FIRST Robotics Competition's 2019 Lincoln District Event, March 22-23! Team 5530 was also awarded the Team Spirit Award sponsored by FCA Foundation, and team member Amon Green ('20) received the district nomination for the prestigious Dean's List Award. Take pride in knowing that Greenhills is now ranked 26th in the State of Michigan out of 542 robotics teams. The Greenhills’ Lawnmowers had a successful run at our season opening district event in Belleville this past week. The theme this year for the FIRST Robotics Competition is ‘Destination Deep Space’ in honor of the 50th anniversary of landing on the moon. Teams compete in two and a half minute matches by filling rockets and cargo ships with simulated hatches and cargo, before returning to a raised launch base for ‘lift off’. Larry the robot is designed for ‘quick fast’ hatch and cargo drops, sensor guided autonomous hatch placement, and awe inspiring climbs to the highest platform aided by the team’s ‘downavator.’ The lawnmowers experienced some spectacular ups and downs at this event! We finished the qualification matches in ninth place out of 40 teams and we earned the top ranking score for our team’s ability to place ‘cargo’ into cargo bays and rockets. 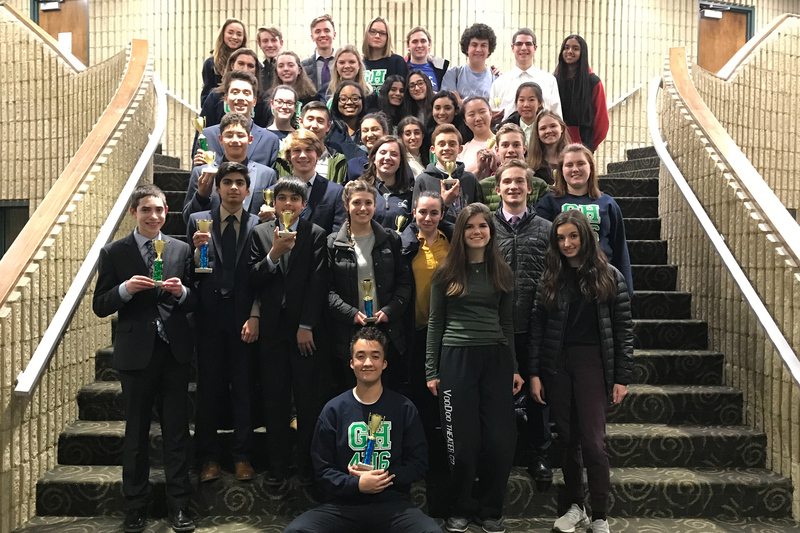 On March 9, 2019, more than 400 students competed in the Michigan Speech Coaches, Inc. Spring Fling Invitational at Novi High School. Greenhills students did exceptionally well, and and our team ranked 4th, overall. Congratulations to all of the students who worked so hard to compete at this level! This tournament was the final invitational of the year, but because of our students' hard work, they will continue to compete at regionals and states. And we do our very best to draw it out daily. On average, any two people have 99.9% identical DNA. That means what makes you you is what comes from that remaining 0.1%. 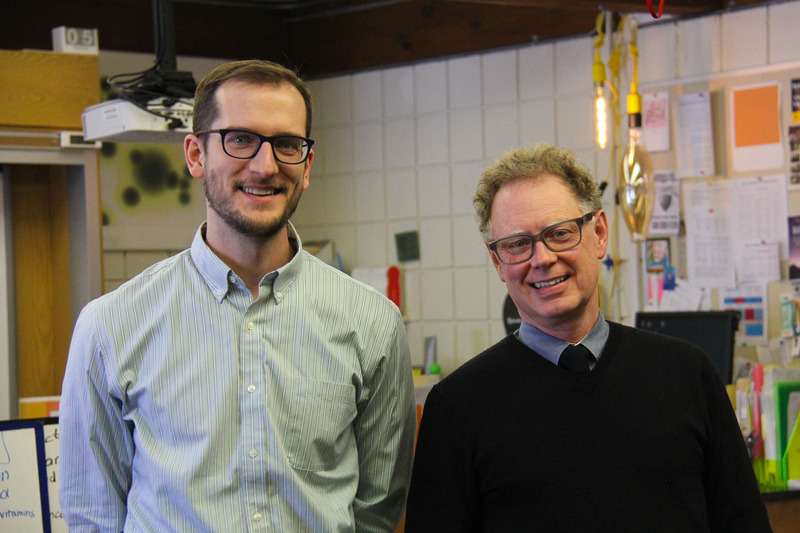 At Greenhills, we've crafted our entire 6th- through 12th-grade experience (and our approach to teaching) to unleash the full power of that 0.1%. So you can go out into the world — uniquely and confidently you. A one-of-a-kind work of art with the ability to do anything you set your very distinctive brain to. The curriculum is designed to challenge a broad range of students from 6th through 12th grade. Fielding life leaders is the name of the game. 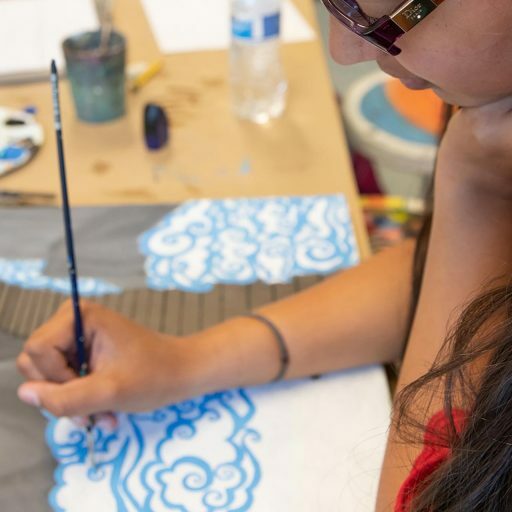 Our students raise the curtain on creative expression. 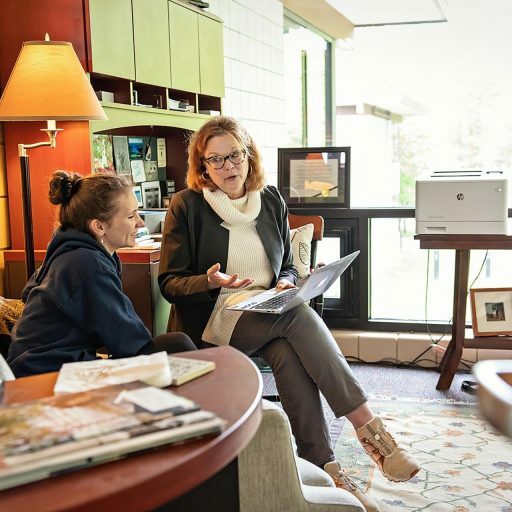 We help Greenhills students find the right fit after graduation. Something is always happening at Greenhills.